Autumn Art Sale 2012 a Great Success! 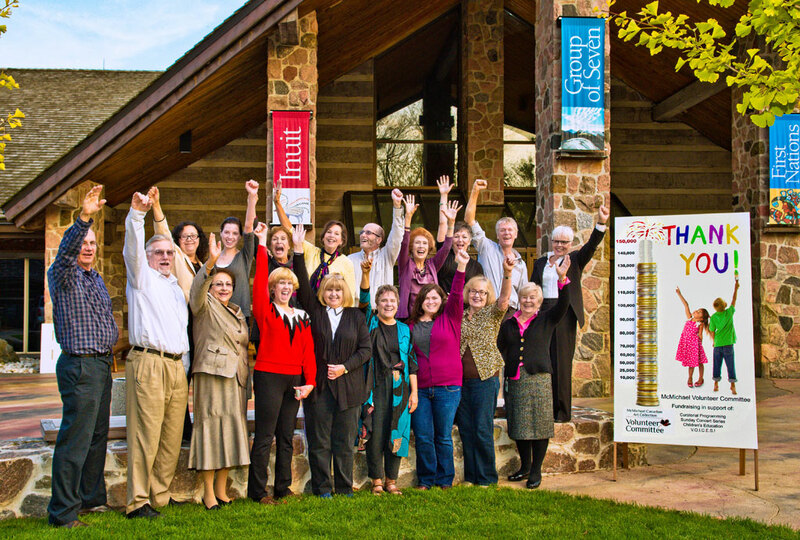 Thanks to everyone who visited the McMichael Canadian Art Collection for our 22nd Annual Autumn Art Sale 2012. 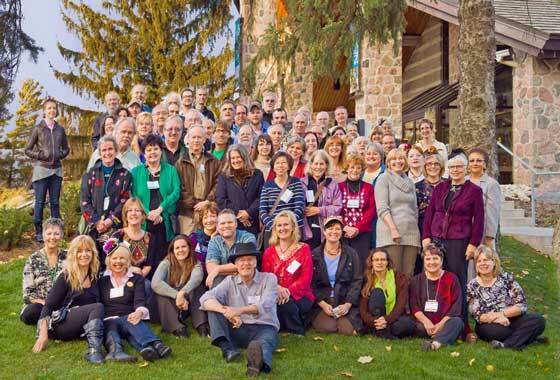 Fifty talented Canadian artists and sculptors descended on the McMichael for the weekend and sold over 160 works of art. Our annual Fundraiser was a huge success, selling over $90,000 worth of great art, and raising $30,000 for volunteer initiatives at the McMichael. It was wonderful to see so many talented emerging artists. This year’s Top Artist was Doris Pontieri, and Top Sculptor was Bev Stewart. The Top Ten was rounded out by Peter Rotter, Larry Deacon, Joe Sampson, Floyd Elzinga, Mark Berens, Lynda Cunningham, Lloyd Wilson, Jamie Maclean, and Michele Van Maurik. Funds raised help support children’s education programs, our popular Sunday Concert Series, and special exhibitions at the McMichael. Stay tuned for information on next year’s sale, October 18-20, 2013. The application deadline will be May 31, 2013. If you would like to be added to the application notification list, click here. Over 180 Artists & Sculptors applied to be a part of this year’s Volunteer run Art Sale, and it’s gratifying to see how many talented individuals there are out there. Our jury had the unbelievably difficult task of selecting the cream of the crop, and these are the successful applicants. Thanks to all those who applied, and congratulations to those who made it in. This year’s sale takes place the weekend of October 19 – 21, 2012. The Opening Night Gala is on Friday, Oct. 19 from 6 – 10 pm, and the sale continues Saturday and Sunday from 10 – 5 pm. Congratulations to last year’s top artists, who are automatically invited back. Mark Berens was Best in Show, and Beverley Stewart was our Top Sculptor. and our Top Ten group included Janet Bailey, Jeremy Browne, Larry Deacon, Susan Gosevitz, Dianne Green, Doris Pontieri, Peter Rotter, Joe Sampson, and Michael Zarowsky. Thanks to everyone who helped make the 21st Annual Autumn Art Sale a great success. Our 50 artists and sculptors sold over $133,000 worth of art, raising over $40,000 for volunteer initiatives. Browse our pages to find out more about the McMichael Volunteer Committee, our programs and initiatives, and how you can become involved. Over 210 Artists & Sculptors applied to be a part of this year’s 21st Annual Volunteer run Art Sale, and it’s gratifying to see how many talented individuals there are out there. Our jury had the unbelievably difficult task of selecting the cream of the crop, and these are the successful applicants. Thanks to all those who applied, and congratulations to those who made it in. Congratulations to this year’s top artists. Peter Rotter was Best in Show (for the second year in a row), Florence Chik-Lau was our Top Sculptor, and our Top Ten group included Mike Smalley, Jeremy Browne, Tim Packer (Best in Show 2007/2008), Deborah Gibson, Janet Bailey, Lorne Winters, Doris Pontieri (Best in Show 2006), Stephen Yau, and Jamie MacLean. In Peter Rotter’s brightly lit basement studio stands an easel where his latest canvass sits. Below is a large bin filled with tubes of oil paint, while scattered on a white futon are dozens of bent and wrinkled photos he’s taken of the area surrounding his cottage. This is where he conceptualizes the landscape he’s going to paint, incorporating elements from one or more photos. At his cottage in the Kawartha Lakes region and in his home studio in downtown Toronto is where the Scarborough native documents Ontario’s beautiful scenery on canvass. This dichotomy is not obvious looking at his paintings: A young urban dweller who exclusively paints landscapes and has no interest in painting anything city-oriented. The recent move to the basement from the main floor of his house was, in his words, to spare his wife and new baby from the paint fumes – and to avoid distraction. Leaning on the basement walls are empty canvasses awaiting his attention, including a partially painted one he lost interest in and abandoned in 1990. He won’t dispose of it because he thinks he just might get back to it one day, while the paintings he outright doesn’t like find a home at his mother’s house. Rotter was just 12-years old when people began to take notice of his talent. His summers were spent at art camp in Bancroft, Ontario where his teachers recognized the quality of his work. While the photos he takes allow him to sketch out his subjects, Rotter uses his iPad to keep the images organized and to narrow in on the details. One can draw parallels between Rotter and the Group of Seven. He is part of the artist collective City Field North Shore–a group of friends he occasionally exhibits with and who serve as support for one another. Rotter fulfills the North, while Stewart Jones (City), David Grieve (Field), Joe Sampson (Shore) complete the group. “Being fulltime artists is kind of lonely, so we need to have a network, but we don’t need to be in the same room together,” Rotter said, pausing. “You just get lonely.” The group all paint individually but speak regularly to break the solitude and keep each other motivated. Rotter also regularly visits galleries to recharge after a show. “I kinda need to be alone,” he said. After studying design at the Ontario College of Art and Design and computer animation at Sheraton College, Rotter worked as an illustrator for the award-winning preschool TV program Hoobs, which was created and produced by The Jim Henson Company between 2000 and 2002. “It was the best. They still play the crap out of it,” Rotter said excitedly. He points to the trees on his canvass, ones he obsessively counts to ensure they aren’t even in number. As he’s describing his technique, the painting doesn’t look so abstract anymore but carries a sense of design and structure.